Blue agaves grow in a plantation for the production of tequila in Arandas, Jalisco state, Mexico, in December 2010. In the past 20 years, tequila has become fashionable all over the world, demonstrating that producers' international sales strategy has been a great success. 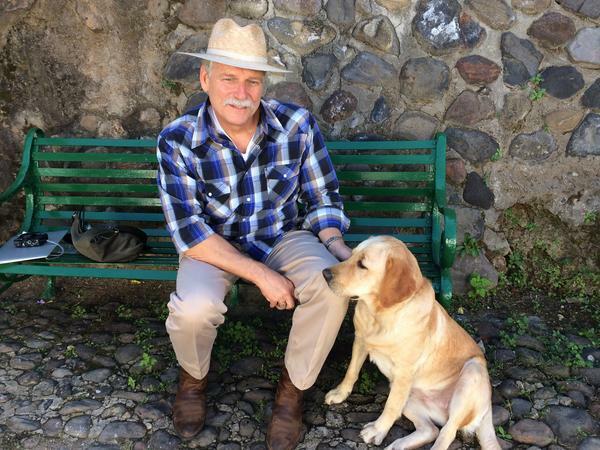 Guillermo Erickson Sauza's family has been making tequila for five generations. Agave has been at the heart of Mexican culture for centuries. Its uses were endless: aguamiel, a fresh nectar beverage, pulgue (fermented nectar), syrup, vinegars, string, rope, shoes, textiles, nails, paper, thatch, tiles, fuel, sop, bandages and snakebite cures. Piñas are piled into the ovens at La Alteña Distillery in the highlands of Jalisco, before (left) and after being roasted, and before their juice has been fermented and distilled into tequila. The Mexican town of Tequila in the western state of Jalisco is the heart of a region that produces the legendary spirit. Any bottle of tequila must be made from the Weber Blue species of agave, grown and distilled in this region. Field after field of agave gives this land a blue hue, defining an economy and its traditions. But using just one species of blue agave to make 100 percent blue agave tequila is done through cloning the plants, without pollination or flowering. After "doing this for so many generations, the agaves are getting weaker, and the only way to protect them is by the increased use of pesticides and herbicides," David Suro of the Tequila Interchange Project tells us. That and other environmental issues have tequileros, or tequila makers, concerned about the future of the industry. Guillermo Erickson Sauza, a member of one of tequila's royal families, gives us a tour of his 125-year-old tequila distillery process in the town of Tequila on the northwest slope of the Tequila volcano. His distillery and hundreds of others, both large and small, fill the hills and valleys some 60 minutes outside Guadalajara, Jalisco's capital and Mexico's second-largest city. Cenobio Sauza, his great-great grandfather, got to the town of Tequila in the 1850s when he was 16. At the time, it was a boomtown, and many people were setting up tequila distilleries there. The natural spring water, the rusty red volcanic soil, the climate all made the region perfect for the growing of blue agave. Cenobio started the brand of Tequila Sauza in 1873, and was the first to export tequila into the U.S. 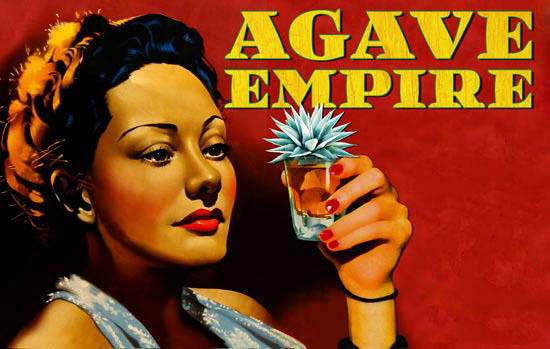 In 1893, Tequila Sauza made a sensation when it was served at the Chicago World's Fair. At that time the drink was called vino mescal. Traditionally, Guillermo tells us, "tequila was the drink of cement workers and bricklayers." At weddings and celebrations in Sauza's own family, and families like his, brandy was served, not tequila. In 1946, Guillermo's grandfather Javier took over Sauza, and slowly helped make tequila what it became — one of the premier products of Mexico. In a move that shocked his family, he sold the distillery in 1976 without warning. Through the years, the family held on to one of its small, old distilleries. About a decade ago, Javier's grandson decided to come back to Tequila and started making the drink in the old traditional way, using a stone crusher, taking a long time to age the spirit. He brought out his first brand, which he called Los Abuelos, or "the grandparents," in Mexico. In the U.S., Los Abuelos is sold under the name Fortaleza, which means "fortitude." It takes five to eight years for the blue agave, the only kind of agave that can be used to make official appellation tequila, to mature. Growing agave is risk-filled, and requires knowledge and maintenance. So agave growers and tequila producers must be looking far ahead at all times. "Agave business is a casino business," says David Suro, president of the Tequila Interchange Project, a nonprofit organization and consumer advocacy group for agave distilled spirits. In the same way wine producers are always wrestling with climate, weather, bugs and soil conditions, the tequileros and agave producers are working just as hard. But instead of one season of growth and then harvest, they have to tend their fields for five to eight years before the sugar levels are high enough for harvest. Suro produces a tequila, too, called Siembra Azul. "It's kosher certified," he says. "There's not a Mexican institution to certify organic. So the kosher certification is the closest [to prove how] very careful we make our tequila." Mexican video journalist Rogelio Navarro says Guadalajara is the Silicon Valley of Mexico in many ways. "I would compare the tequila industry to the electronic industry, which is so important to us here," Navarro says. That means tequila is likely to play a huge part in the future of Mexico's economy. Traditionally tequila was a Mexican family business passed from generation to generation. Now that is changing. "The biggest tequila companies are not Mexican anymore; they are internationally owned," he says. "Tequila produces a lot of jobs and a lot of money, and now they just the sent the first package of tequila to China, and they're expecting to sell millions of liters of tequila in China." Navarro notes that tequila not only means alcohol — it also means culture. It's associated with folkloric dancing, with music, with film, with tourism. The Tequila Chamber of Commerce and the Tequila Regulation Council are now very focused on what is happening with tequila all over the world, says Navarro. And they make sure that tequila produced in tequila country is actually tequila because of the agave they are using and the amount in the final product. There have long been troubles with people both in and outside of Mexico producing something they label as tequila that is not true tequila, not 100 percent blue agave. Navarro has been following some of the efforts to make tequila production more organic and sustainable, as it is an industry that produces a serious amount of waste. "The cellulosic waste, or bagasse, is what is left once you cook the agave plant and chop it and put it through a mill. ... What do they do with all this organic trash?" he says. "They were trying to compost it, and you can use it back in the agave fields as well, but in the past it's been easier to just throw away. Now, there's a guy that decided, what are people in Brazil are doing with the cane? And he bought the machines and started compressing the bagasse and making bricks, and he started to sell them as charcoal for roasting and bricks for houses." Carlos Camarena is a third-generation family master distiller and one of the most respected tequileros in Mexico. Tequila, Arandas and Atotonilco are three of the major areas where agave thrives and exceptional tequila is made. We make the pilgrimage with him to his La Altena distillery in the highlands of Jalisco, where he makes the legendary Tequila Tapatio, Tequila Ocho and more. Inside is a huge round pit made of stone, with a stone wheel on top of it. "What we are looking at is called a tahona," he says. In the past, the wheel was turned by mules. The stone crushes the agave and squeezes out the juice. Three years ago, Carlos' father pulled out the mules and replaced them with a John Deere tractor to pull the wheel. Tequila Siete Leguas, about an hour away near Atotonilco, is one of the last distilleries to crush its agave with the huge stone wheel pulled by mules. At La Altena, Camarena is thinking deeply about the environmental impact of making tequila. "We're noticing the summers are getting hotter and hotter every year, and the winters are getting colder," he says. "So much hot is making the plant grow faster, but not letting it get all the nutrients from the soil and develop the sugar content and the acidity and to be as healthy." And he notes that tequileros face a particular difficulty because blue agave plants being used to produce these millions of gallons of tequila are clones from the same mother. This monoculture style of agriculture over time requires more and more pesticides and herbicides to carry on. About eight years ago, Camarena also got interested in treating all of the residues at the distillery instead of just dumping them in the garbage. With all the organic materials it's producing, it started making an organic fertilizer that it put back on the agave fields. And the distillery started recycling all the water it uses instead of just throwing it away. Camarena is awaiting certification as a green industry because he is focused on controlling all aspects of the "leftovers" the distillery creates through the tequila-making process, to make certain it has no polluting effect, including reducing emissions into the air from its boilers and stills. He tells us, "If I want to change the world, I need to start by changing yourself, and let's see if that attracts other people to do what they have to do in order to have a better planet for people who come after us." Carmen Villareal is one of the few women in Mexico to run a tequila company. It's called Tequila San Matias, and it's now 127 years old. Villareal tells us about Mayahuel, the pre-Columbian goddess of fertility and maternity who is a sort of patron saint of tequila and is often pictured with 200 breasts. "Our agaves have babies," says Villareal. "Normally one agave can have 10 or 12 babies, so it is about being productive." Villareal sees Mexico through the eyes of Mayaguel, the productivity and fertility of tequila working for the growth and wellness of the country. "Mexico is a country with great poverty," she says. "Tequila is an important income for the country. For example, our distillery is located in a tiny town, and we are practically the only source of work in the area. The way I see the industry, we we can help bring wellness and opportunity to our country." It's time for another installment of Hidden Kitchens. Today we go to the Mexican town of Tequila and the region that produces the legendary namesake spirits. Shouldn't a different song be playing? Anyway, any bottle of tequila must be made from the Weber blues species of agave, grown and distilled in that region. 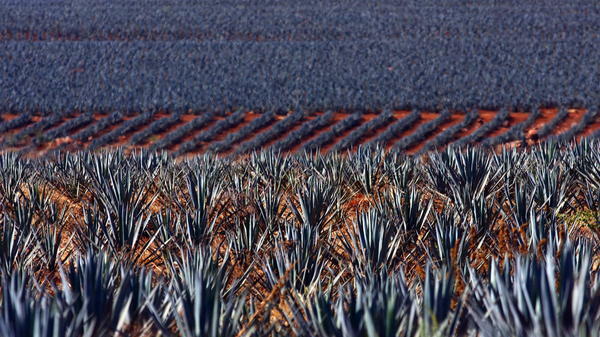 Field after field of agave gives this land a blued hue, defining its economy and traditions. 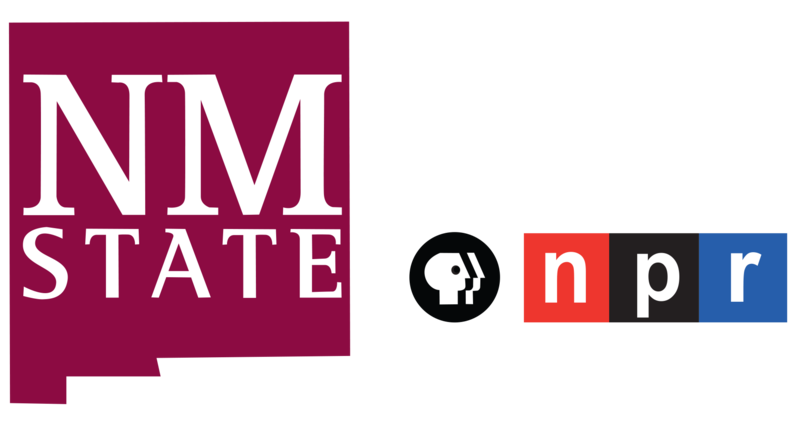 MONTAGNE: The Kitchen Sisters, producers Davia Nelson and Nikki Silva, travel to Mexico and share this story, which they call Tequila Chamber of Commerce. GABRIELLA CONERO: This is the main entrance to Tequila - Tequila town. My name is Gabriella Conero (PH) National Chamber for the tequila industry. In this row, you can find a lot of distilleries. This is Tequila Tres Mujeres, Hacienda de Oro. Herradura is right there. And this way you can see the Sauza factory. GUILLERMO ERICKSON SAUZA: My name is Guillermo Erickson Sauza. And we're in the town of Tequila, around the northwest slope of the Volcan de Tequila. It's an old, expired volcano. And I'm the fifth generation to make tequila in my family. Now, at our little distillery here, La Fortaleza, we only make 100 percent agave tequila. Cenobio Sauza, my tararabuelo - great-great-grandfather - got to this town in 1850's, when he was a 16-year-old boy. At the time, it was kind of a boom town. There was a lot of people setting up tequila distilleries. Previously, it was illegal to make distilled spirits in Mexico to keep competition away from the spirits that were produced in Spain. Cenobio started the brand of Tequila Sauza in 1873. It was the first to export tequila into the United States. Tequila was like the cement workers', bricklayers' drink. It wasn't for the upper classes. We used to go to a wedding and you would see all brandy bottles on the tables. There was never any tequila bottles. About 1946, my grandfather, Javier, took over and slowly made Tequila Sauza what it was, the product of Mexico. Unfortunately, he sold Tequila Sauza when I was about 20 years old in 1976. We were all stunned. All of a sudden he just sold out. I found him reading the newspaper. And I said, (Spanish spoken) Daddy Javier, why did you sell the distillery, you know? And he pulled his paper to one side and he said, (Spanish spoken) because I wanted to. This is a very tough business. Fortunately, we kept this little old distillery. We were able to put it back together and get it making tequila in the traditional way. We brought out a brand called Fortaleza. It means fortitude. UNIDENTIFIED MAN: (Singing in Spanish). ROGELIO NAVARRO: Guadalajara is the Silicon Valley for Mexico in so many ways. Tequila industry produces a lot of jobs and a lot of money. It's not only tequila. It's also what it means to go out to the tequila country. It's becoming an experience. It doesn't necessarily mean alcohol. It also means culture, folkloric dancing, mariachi music, food. My name is Rogelio Navarro. I live in Guadalajara. I'm a video journalist. Tequila industry is a very huge part of the future of Mexico. But the biggest tequila companies are not Mexican anymore. They are internationally owned. And now that the Tequila Chamber of Commerce just sent first package of tequila to China. They are expected to sell more and more millions of liters of tequila in China. ROVENO SERVES: Felix is el Jimador. Jima means to harvest a agave. SERVES: He's been doing this for the last 16 years. His daddy was the one who taught him to be a Jimador. SERVES: The Jimador use this tool, which is called coa - it's very sharp - to harvest the agave. He's shaving all of the penca away from the agave. Penca - it's the agave leaf. They are very spiky. They are a lot of spines and thorns. It's like a protection for the heart of the agave. My name is Roveno Serves (PH), global brand ambassador Casa Herradura. JIM REEVES: (Singing) I'm just getting back Juarez, Mexico. And I'll tell you something I want you to know. My forehead is aching. It throbs and it twirls from drinking tequila and teasing the girls. DAVID SURO: I got a business. It's a casino business. You have to be able to predict what the consumption of your spirits going to be in the market eight years ahead. My name is David Suro, president of the Tequila Interchange Project and also the president of Siembra Azul Tequila. The tequila industry - the regulations allow us to use only one type of agave - the agave tequilana Weber blue variety. A hundred percent of the reproduction of agave is done now through cloning the plants. CARLOS CAMARENA: The summer gets hotter and hotter every year. Traditionally for the blue agave, it took eight to 10 years to grow and mature. And now we are looking at the agaves maturing 5, 6, 7-years-old. Less sugar content because the plant is forced to grow and mature faster. And everybody's talking about it - Calentamiento global - global warming. We are, right now, at La Altena Distillery. This is one day's harvest. We process about 20 tons of agave per day. Seven ovens very slowly cook the agave - fermenting in wooden vats - the way that all tequilas were 100 years ago. So we generate organic compost and leave it so Mother Nature do its own thing. CARMEN VILLAREAL: Tequilera means a woman that works in the industry and produces tequila. My name is Carmen Villareal. I am the general director of Tequilas San Matias. In our pre-Columbian history, Mayahuel was a goddess, the agave goddess for fertility. Our agaves can have 10 or 12 babies. I like to relate that history with our history now - to grow well is for our country with fertility and productivity. MONTAGNE: This story was produced for the Kitchen Sisters in collaboration with Nathan Dalton. It was mixed by Jim McKee. You can visit the agave fields around Tequila at npr.org. This is NPR News. Transcript provided by NPR, Copyright NPR.